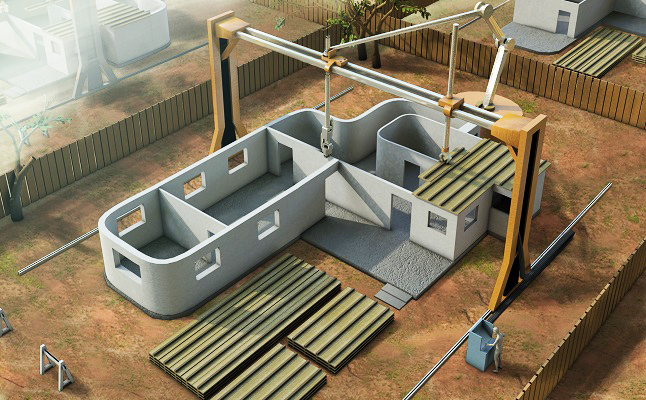 Building a house using the gantry and 3D printing system. Credit@Dr.Khoshnevis. Lunar Construction using the concepts of Contour Crafting. Credit@Dr.Khoshnevis.